West Boundary Community Forest, with funding provided by the Forest Enhancement Society of BC, is conducting a fuel-reduction , and wildlife enhancement project in the May Creek area. Lodgepole pine and blowdown have been removed to mitigate the risk of a large-scale fire as well as provide access to fire crews in the future. REDUCE THE POTENTIAL IMPACTS OF WILDFIRE ON YOUR HOME. In addition to information on how to protect individual homes and properties, this manual provides individuals with the necessary tools in planning and in mitigating the risk of fire in interface areas within your community. 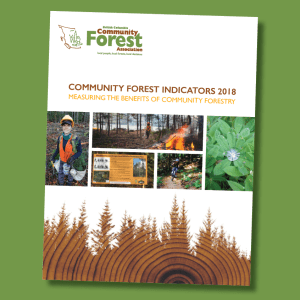 VICTORIA – The BC Community Forest Association (BCCFA) has released its annual report which summarizes the benefits of community forestry in BC. Forty community forests participated in the survey, providing data from their last reporting year. This sample represents 93% of the operating community forests in the BCCFA. Most are small rural communities, with an average population of 3,360. This year’s results show that community forests are creating 63% more jobs/ m3 than the industry average in their forestry operations. They operate in sensitive areas, while reliably supplying logs to both major processing facilities and small manufacturers. 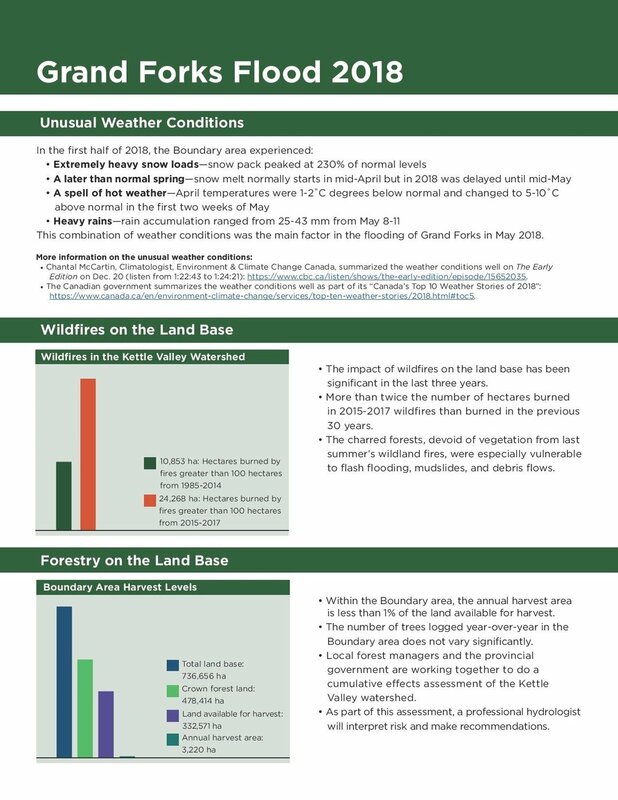 They are showing leadership in reducing the risk of wildfire to their communities and have a significant role in the process of First Nations reconciliation beyond the legal requirements of the tenure. Trails to the Boundary Society was formed in 2016 to manage the Trans Canada Trail from Eholt to McCulloch. Although they are not within the West Boundary Community Forest they are adjacent and we have provided funding for their trail through the Vaagen mill yard in Midway. Trails of the Boundary took over management of the horse trails formerly managed by Kettle River Trails Association which dissolved in 2017. These trails run from the fair grounds in Rock Creek north through the Rock Creek block and access trails within steep creek block NE of Westbridge. Boundary Invasive Weed Society is a local society with the mandate to prevent and treat invasive weeds throughout the Boundary Region. They work with all BC Government, municipalities, licensees, and forest and range stakeholders to manage this problem. Their policies and strategies are part of the broad Provincial Weed Management program and therefore apply to WBCF. Contact; Barb Stewart, Tel: 250-446-2232.